Antoine Griezmann continues to be Atletico's talisman and scored his 17th goal of the season yesterday. He was behind almost every Atletico move worthy of a mention and played the role of a #10 to perfection. However, Morata could not impress for Atletico and had a peripheral presence in the match. 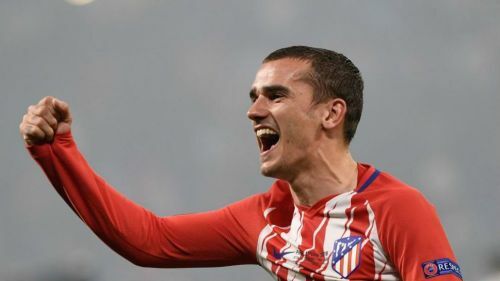 Atletico depends too much on Griezmann on the attacking front, and this over-reliance remains one of their glaring drawbacks. Midfielder Thomas, who was sent off in the 80th minute, also tried hard in the first half with some timely interceptions in the midfield, but could not stop the flow of Real Madrid’s attacks. Atletico kept pressing hard in the midfield, and also managed to score with the help of a lovely through pass to Griezmann, but lacked ideas upfront in general. Their counter-attacking game was too predictable at times and did not trouble the Real defenders much. Morata would have to step up his game if Atletico is to have any realistic chance of getting the better of Juventus in their round of 16 clashes in the UEFA Champions League.